2019 Charleville International Half -Marathon Sunday 15th Sept. Please note T-Shirts are Gender-specific fit. Mens are true to size. Ladies are small sizing so we recommend the following size guide. We are delighted to welcome back Kerry Foods as Title Sponsors of The 2018 Charleville International Half Marathon for the 4th consecutive year. Pictured is Tom Harrold Chairperson North Cork AC and committee members accepting a sponsorship cheque from Barry Woulfe factory manager Kerry Foods Charleville. Your continued support is very much appreciated. – Elite & Elite International Athletes email CharlevilleHalf@gmail.com for Complimentary Promotional Places. See http://www.charlevillehalf.com/elite-athletes/ for more details! At the Heart of Munster! Due to the central location of Charleville in Munster (see Maps) our Charleville Half Marathon event is within a reasonably short driving distance for any runner in the Munster area. 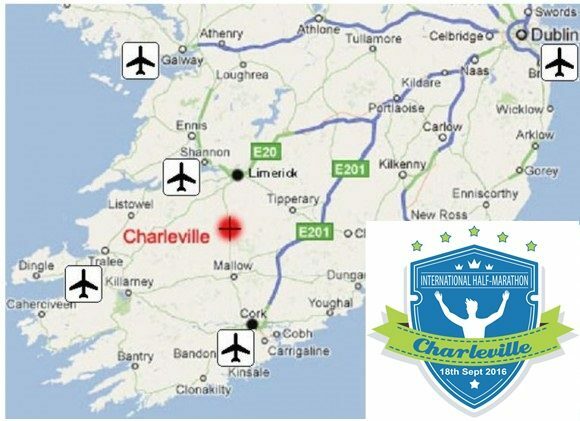 Anyone from further away can also get to Charleville easily due to its location on the N20. A drive from Dublin takes approx. 2hrs. Or those who would like to travel to the race in comfort and stay in comfort can get the train to Charleville and stay in the 4-star Charleville Park Hotel. See our Race Accomodation page for more details of special accomodation rates for the race. For our international participants, we are an hour or so drive from Cork, Shannon and Farranfore airports. 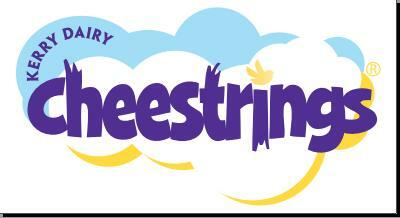 Kerry Foods/Cheestrings As This Years Race Title Sponsor. We are delighted to welcome back Kerry Foods as Title Sponsors of The Charleville International Half Marathon for the 3rd consecutive year. Pictured is Deirdre O’Leary committee member & Tom Harrold Chairperson North Cork AC accepting a sponsorship cheque from Barry Woulfe factory manager Kerry Foods Charleville. Your continued support is very much appreciated.